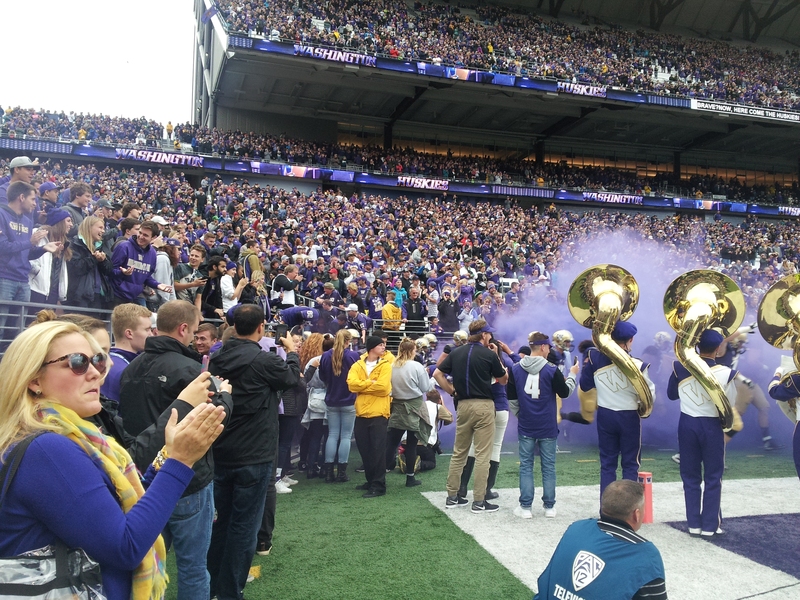 You are here: Home › My Work › Sports › Television › Shooting UW Athletics LIVE – Go Huskies! 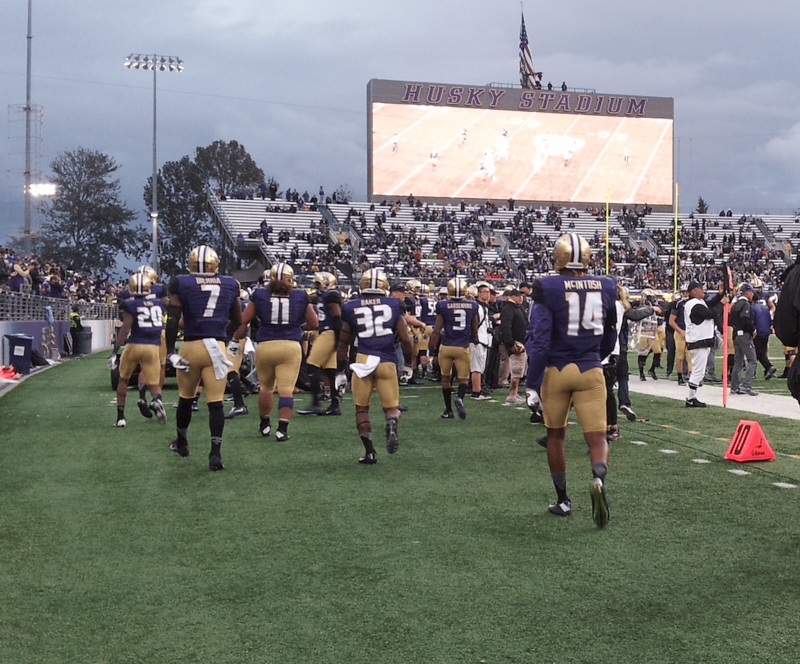 Last year my work at UWTV got even more interesting, because in addition to working on the national PBS television show Well READ (which I really enjoy), I had the opportunity to be a part of the TV crew for UW Huskies Football home games at Husky Stadium. 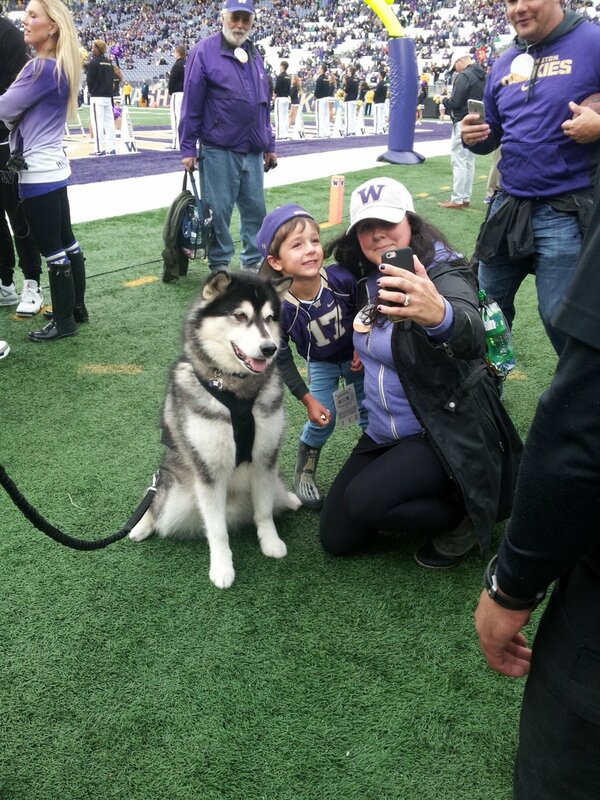 Being on the field was exciting because I got to be so close to the action and hang out on the sidelines with our mascot Dubs and the cheerleading squad. 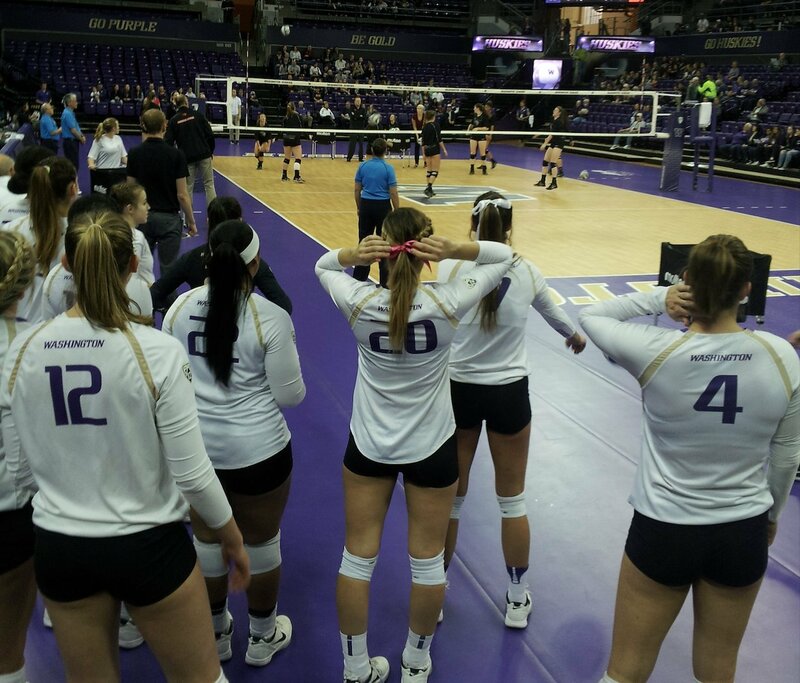 The next sport I got involved with was UW Women’s Volleyball, wrangling camera cables in the Alaska Airlines Arena for a sport that I admit, beyond the basics, I didn’t know much about — followed by NCAA basketball. 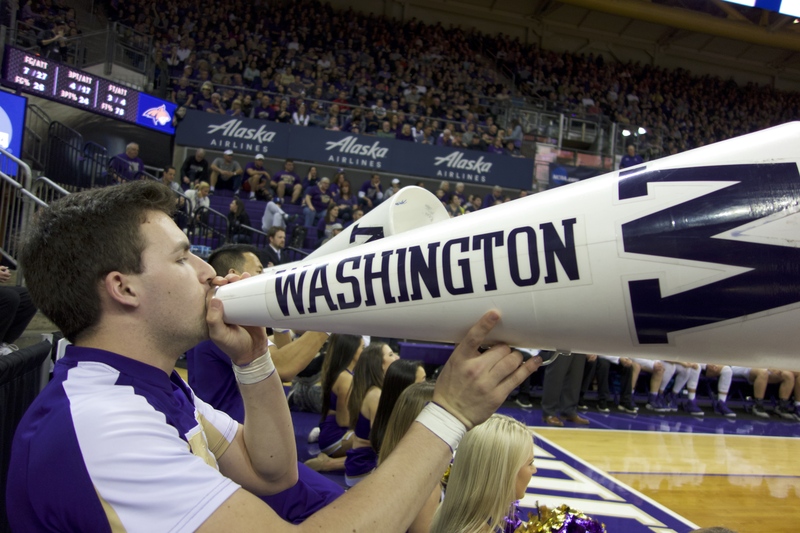 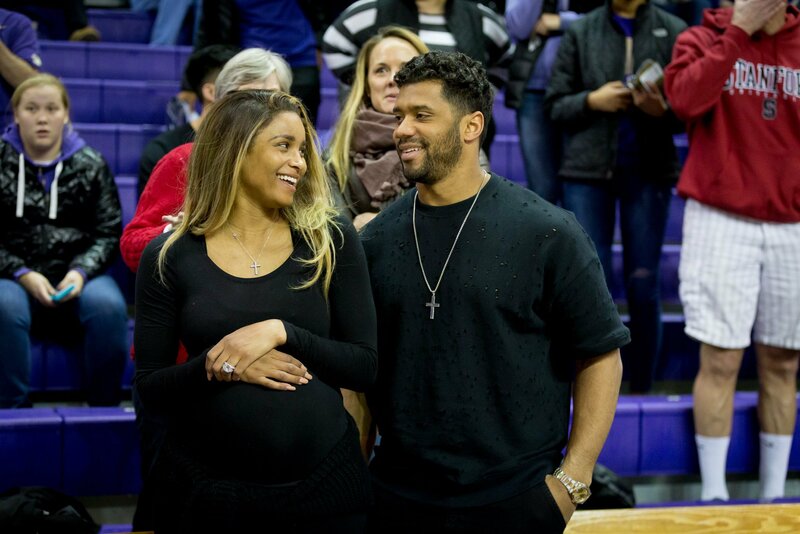 I spent a lot of time working both UW men’s and women’s hoops. 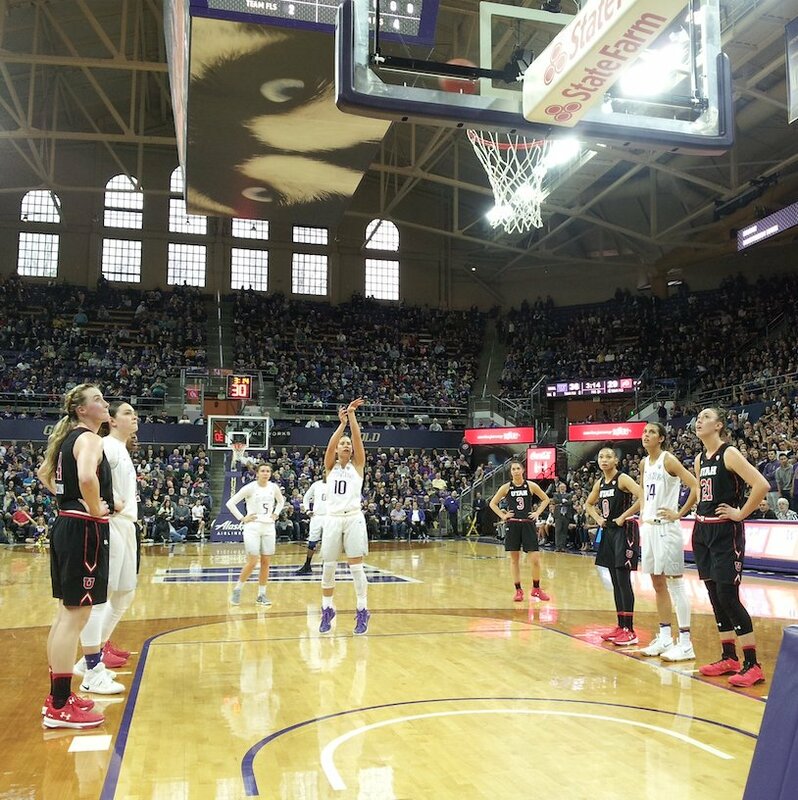 On the women’s side, the Huskies had an outstanding season and, as result, I got to see them progress all the way to the Sweet Sixteen up-close because, this year, March Madness came to Seattle. 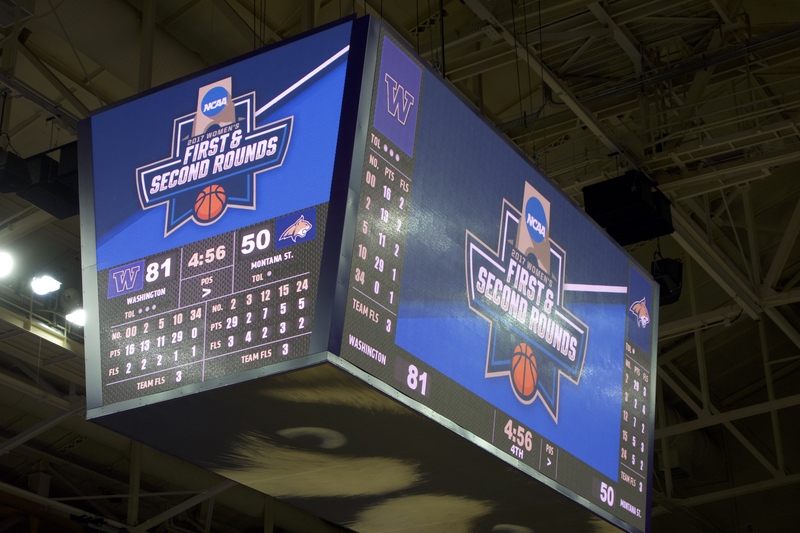 The first and second round games were held at Alaska Airlines Arena, so I had the awesome job of working those games as well. 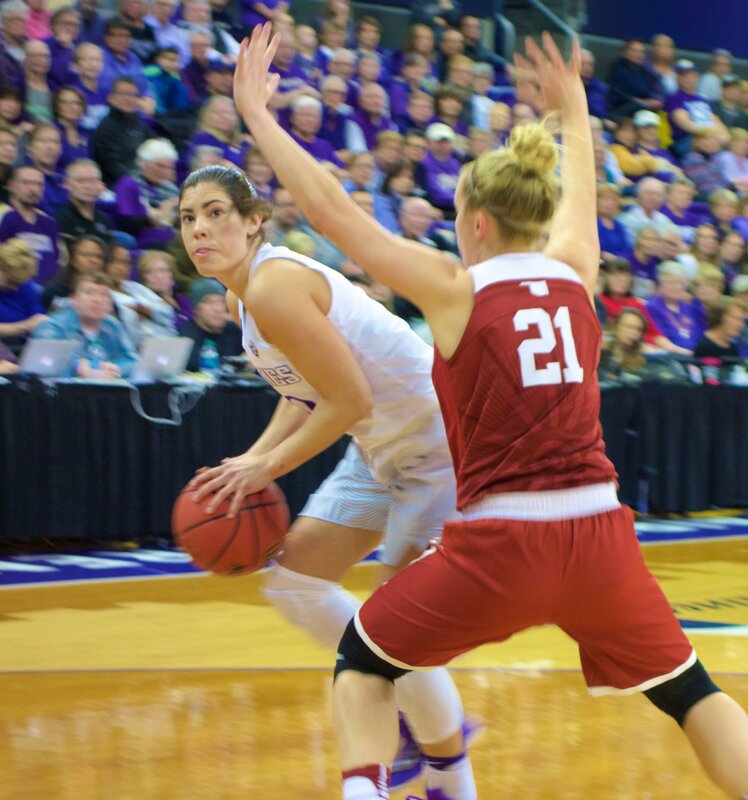 I was even on the floor the night UW’s superstar All-American, senior Kelsey Plum, became the NCAA women’s all-time leading scorer! 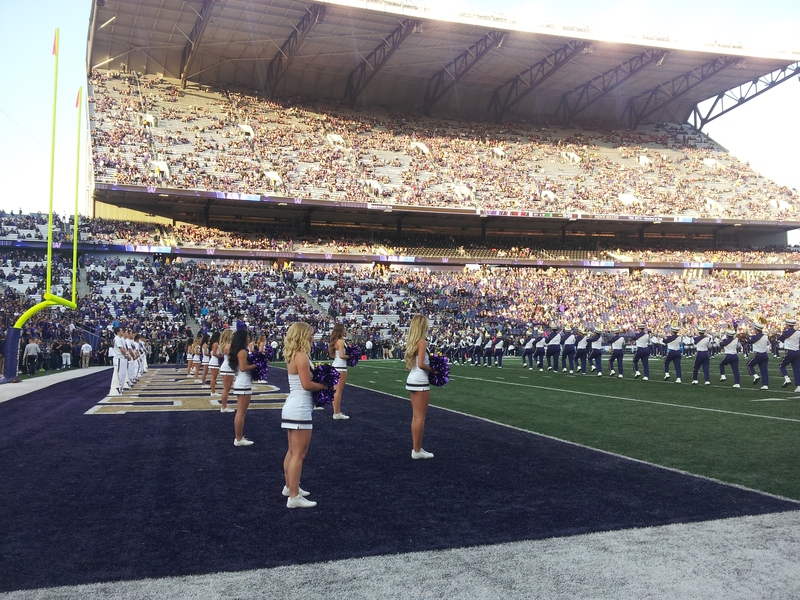 And then there’s the occasional A-List celebrity in the front row (hint: see the photo gallery below). 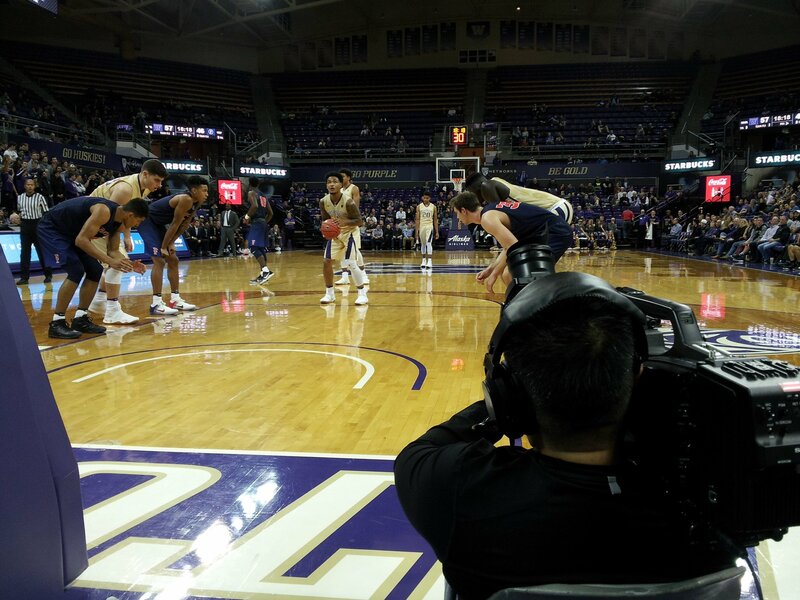 All in all, my first year working basketball turned out to be kinda epic. 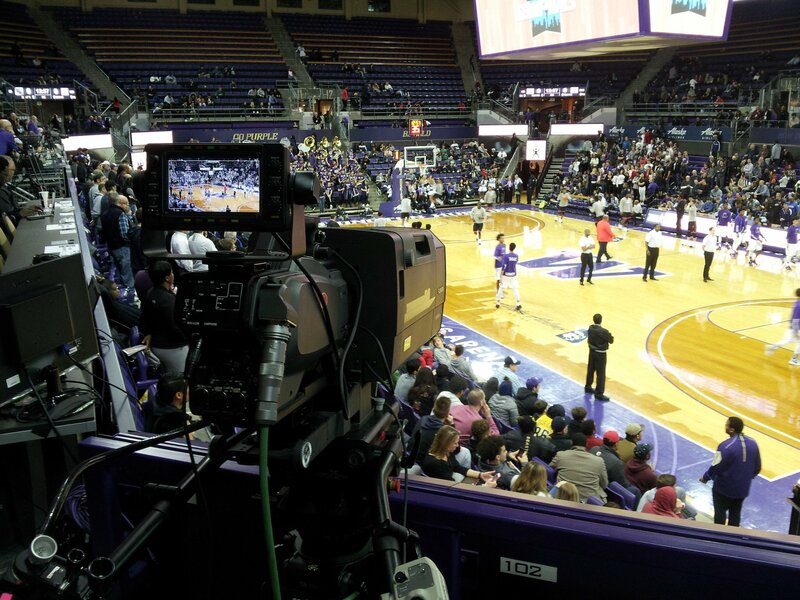 When the Seattle Metro League (high school basketball) Semi-Finals were held at Alaska Airlines Arena in February, I also got my first chance to run UWTV‘s Slash Cam. 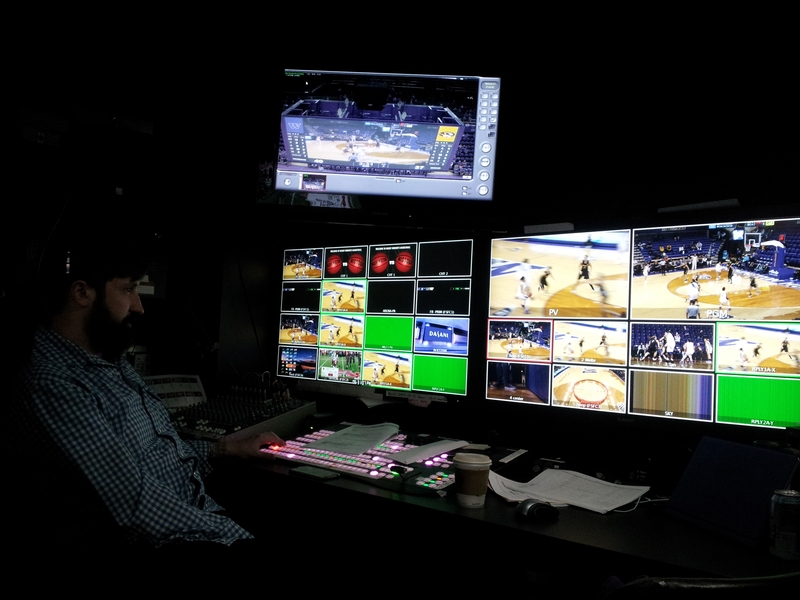 Slash Cam is positioned at the corner of the baseline (on the diagonal, or slash, from center court) and is typically used to capture replays and live shots of the benches, coaches, and players between plays. 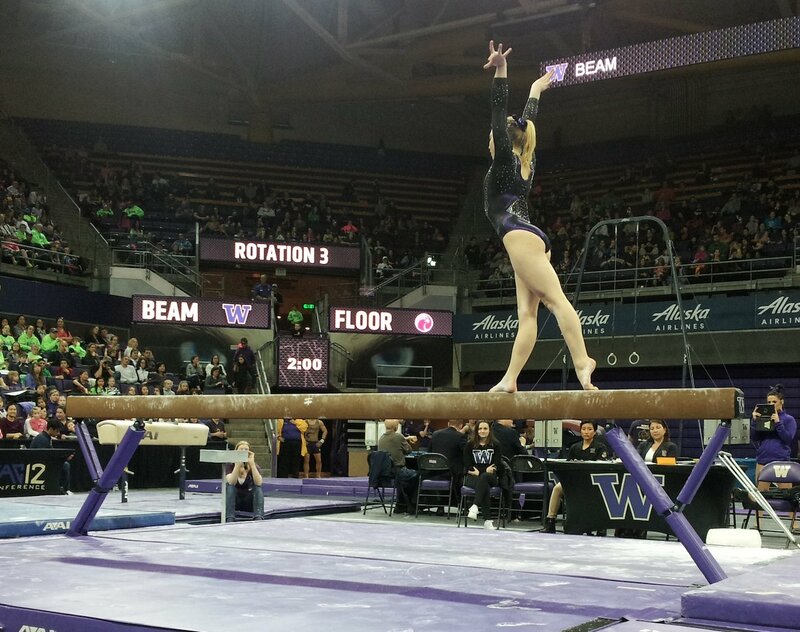 However little I knew about volleyball, I knew even less about gymnastics. 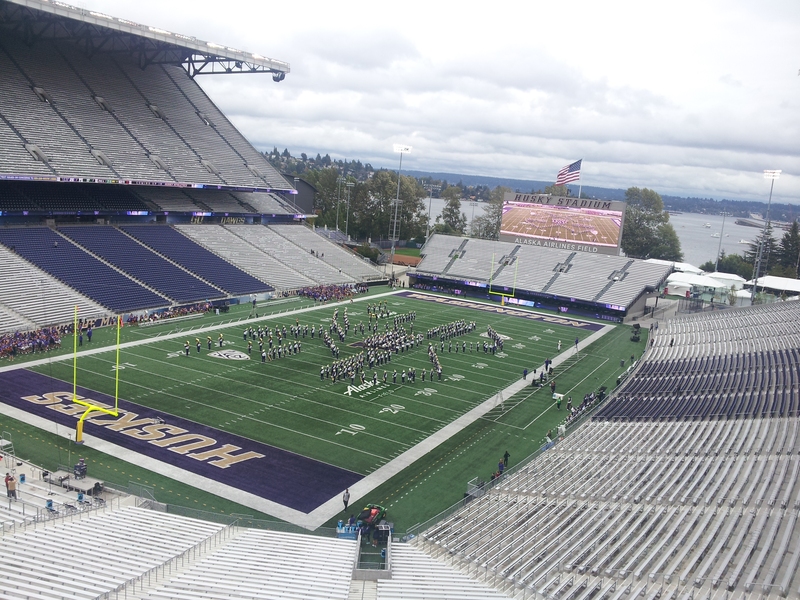 I still feel it’s kind of an odd sport because of how subjective the scoring is. 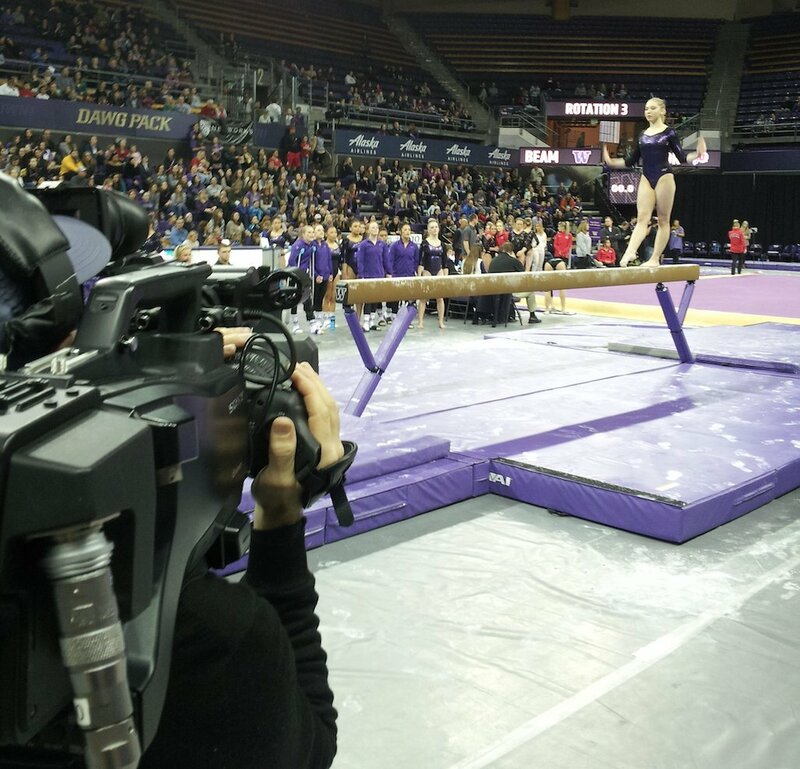 Nevertheless, crewing the UW GymDawgs meets has been a really enjoyable experience, and I’ll be working the NCAA Gymnastics meet in April. 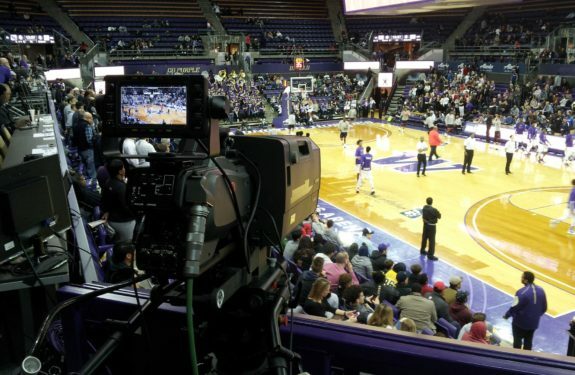 There’s a lot of running around involved because the handheld camera often has to quickly move back and forth between the various events. 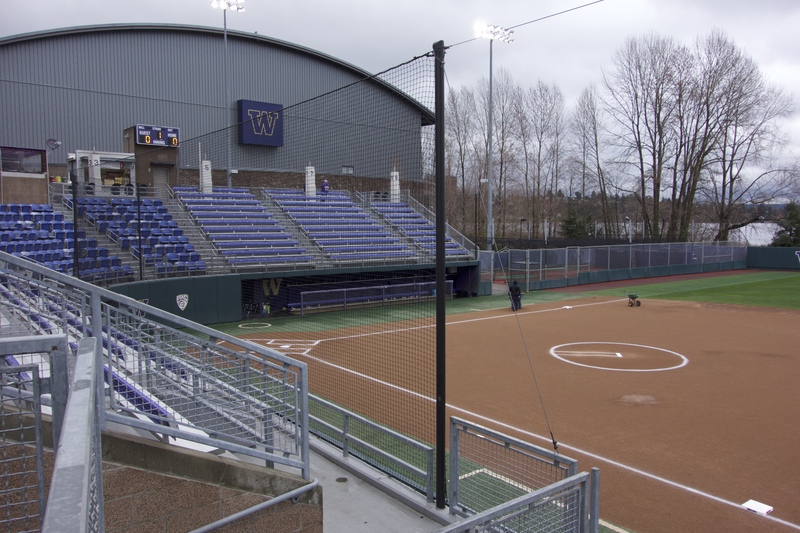 Now that baseball/softball season is in full swing, last week, I had my first opportunity to operate the handheld camera for UW Softball. 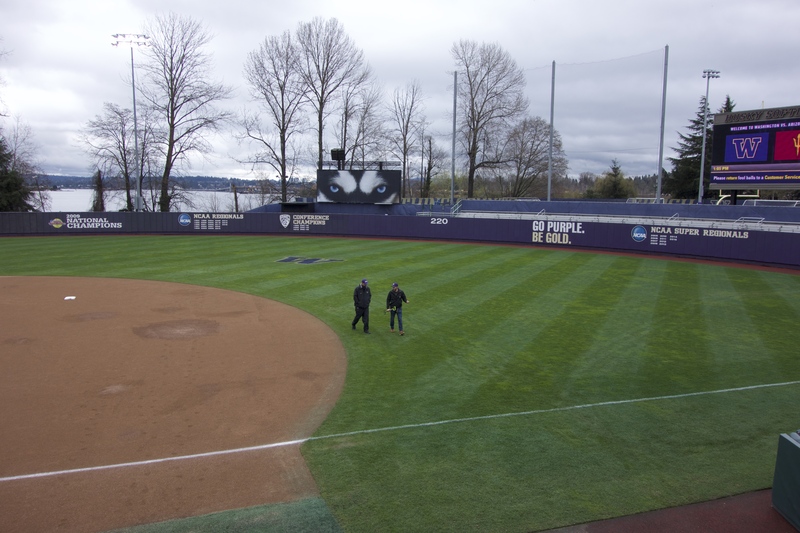 It’s the only camera deployed for softball coverage, so I felt considerable pressure to do a good job and think I did. 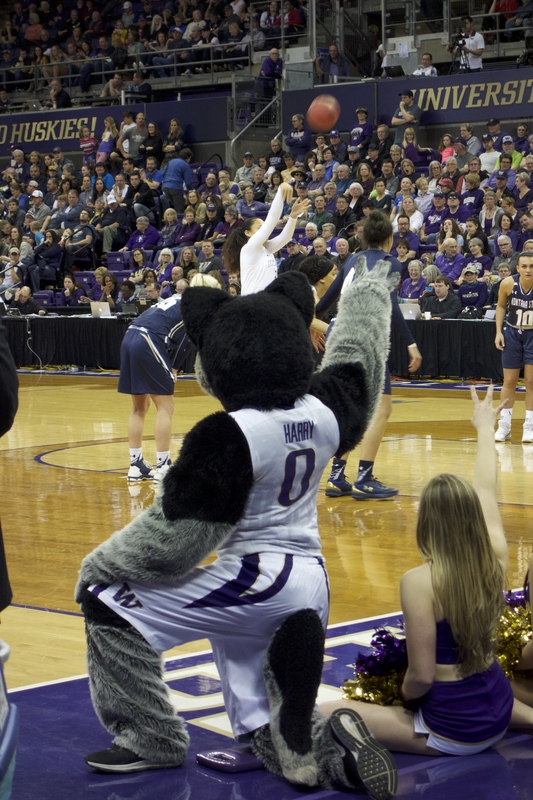 It was my longest day crewing sports so far because, as soon as I wrapped at the softball game, I ran directly to the Alaska Airlines Arena to work the first round of the NCAA Women’s Basketball Tournament! 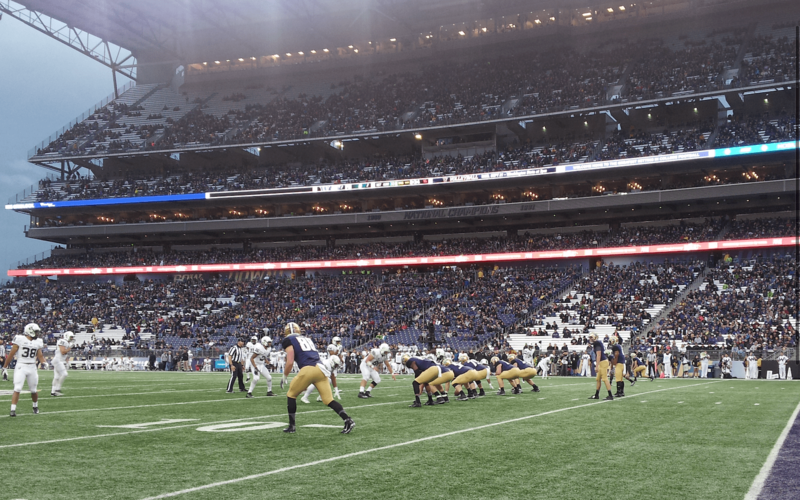 My favorite part about working all these sporting events is probably how it really puts you in the middle of the action. 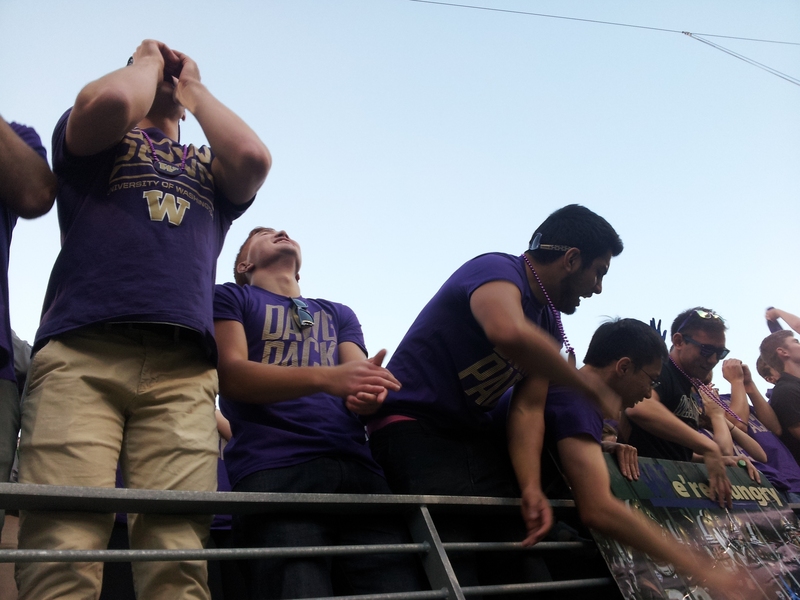 Until recently, I’ve never been much of a sports fan, but I find myself feeling a sense of satisfaction when the Huskies do well. 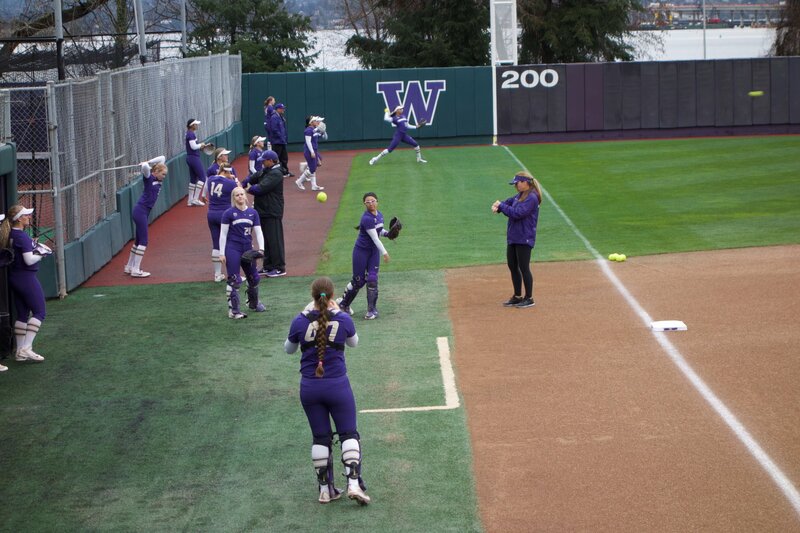 And, these experiences have given me a newfound appreciation for sports and the athletes who play them.